A fun selection of 1.75mm E3D V6 Ecosystem Brass nozzles, set in a metal tin lined with soft foam for safe and easy storage. Print all the things in all the resolutions! Suitable for all 1.75 mm E3D hotends except for Cyclops and Volcano. For those who want to explore the limits of high-resolution printing with small nozzles, as well as high-speed high layer height printing with large nozzles. 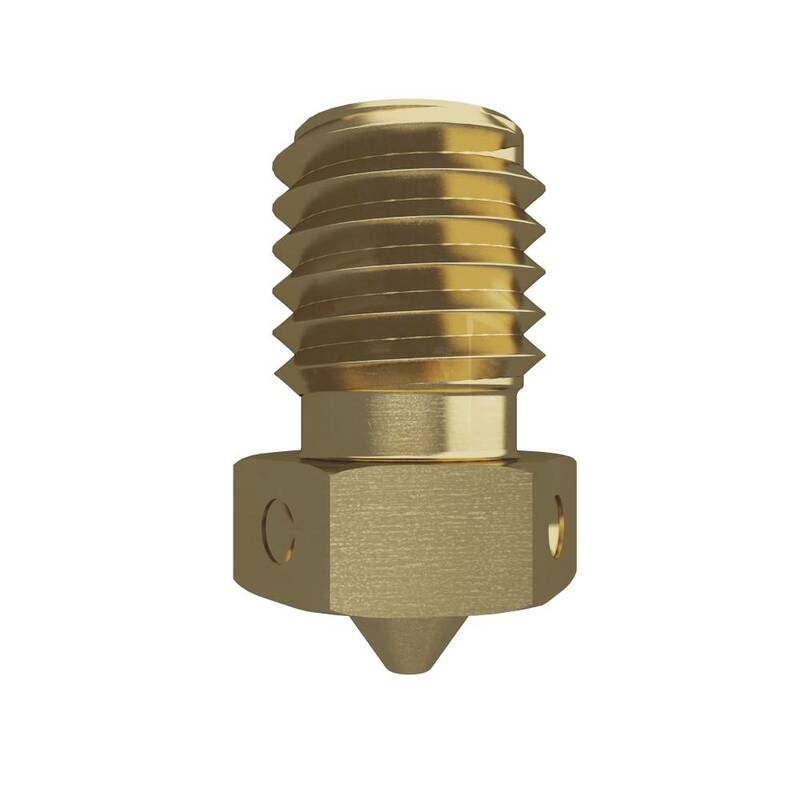 Brass nozzle is a general purpose nozzle, great for printing materials that don't have anything abrasive in them. 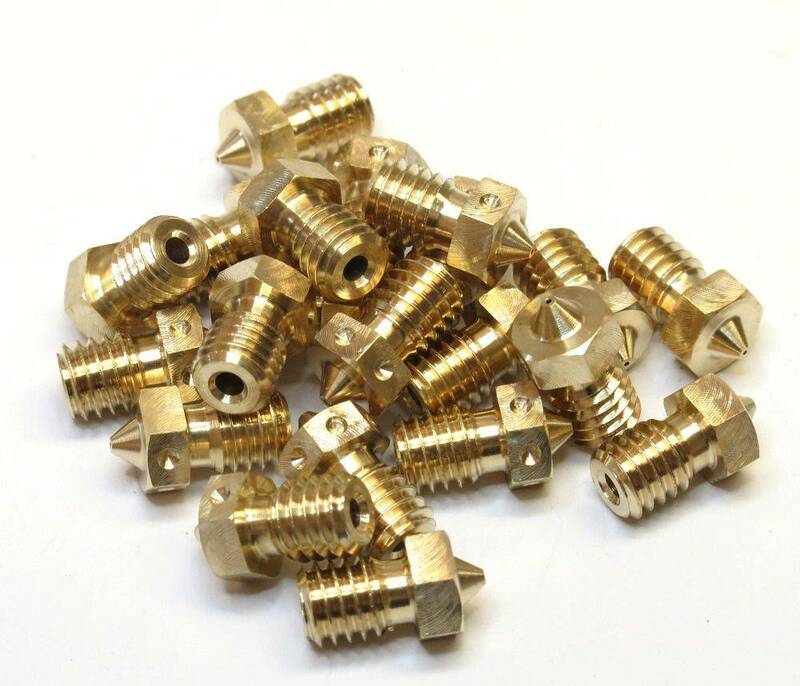 Brass has a great balance of properties: thermally conductive, machines precisely and – easily even with very small nozzles – doesn't corrode or pit so retains a smooth surface finish for cleanly laying down extruded filament. Vulnerable to abrasive erosion by more exotic filaments like carbon-fiber filled materials, metal powder filled materials and glow in the dark. Can be damaged by nasty head crashes with things like bulldog clips and glass. Using a wire brush on a brass nozzle will cause wear over time. 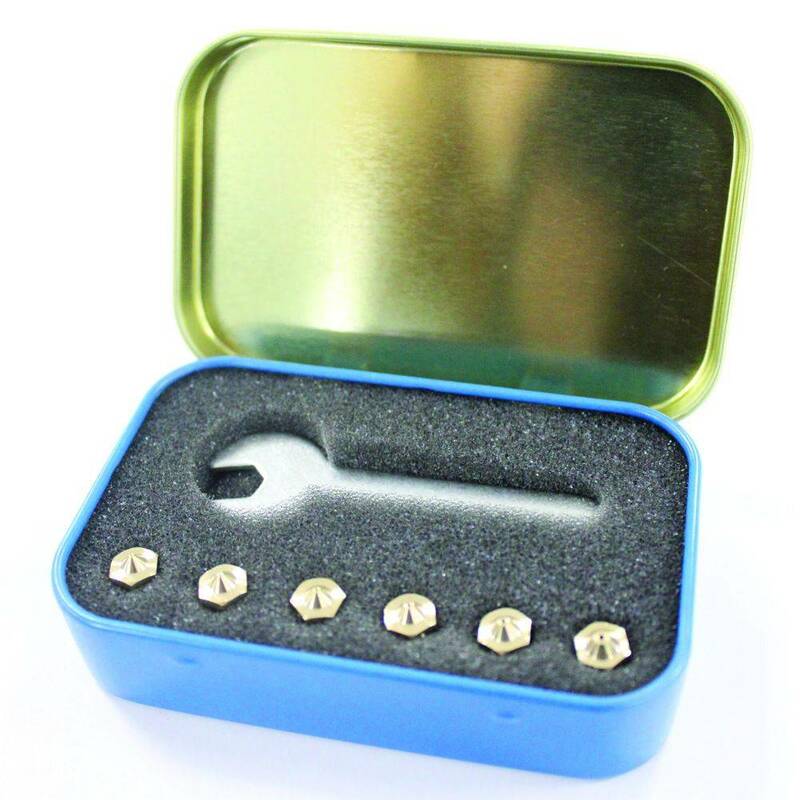 A handy spanner for swapping out your nozzles. 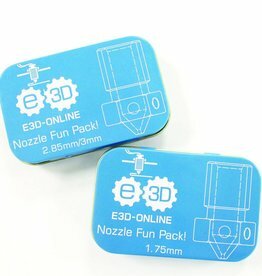 It works with all E3D nozzles.